Reach for Success with Success Coaching Workshops! The Student Success Center's Success Coach Office is offering a variety of workshops throughout the Spring 2019 semester! Please call (361) 698-2263 or email jgonzales124@delmar.edu for more information. 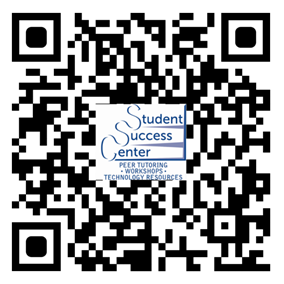 The Student Success Center is located in the St. Clair Building, Del Mar College East Campus in Room 119 from 1:00PM - 2:00PM. Do you know your learning style you are? We offer tips to help you strengthen your style of learning and studying habits. Developing good study habits and skills is a vital part of student life. Is there a right or wrong way to take notes? We will discuss different methods to build up your skills. Are you having trouble managing your time? Many students may experience some type of TEST ANXIETY prior to exams, learn some techniques to eliminate this type of stress. Learn tips on WHY we put things off, how to prioritize your tasks to be more productive. Tips on how to discuss key issues related to your class, homework, exams, etc. and relate this to your professor through text, email or in person. Need to release tension? Join us for an opportunity to speak your mind or write a message to be read or placed in a box. Learn ways to manage stress with strategies and meditation. Understand what a NEED and a WANT is and how this can assist you in making better decisions with regard to your financial future! Guided imagery or meditation, visualization, is a gentle but powerful technique that focuses the imagination in proactive, positive ways. Learn how eating healthy fuels your brain.